Looking for the best blogging tools? The secret to success online is working smart, not working hard! With tools for keyword research, content creation tools, email marketing tools, SEO and competitor research tools, things can be a bit overwhelming. You might spend a lot of time & hard-earned money without actually making a dent on your blogging graph. … that will improve your rankings, get more traffic & have an advantage over your competitors. Please Note: All these blogging tools are the ones we’ve personally used to grow our blogs. You might not need everything listed here so make sure to scroll and get the blogging tools & software you absolutely need. Don’t overspend because of FOMO. A managed hosting helps you to focus on your blog’s growth rather than investing time in hosting related issues. We host most of our sites with WPX Hosting. Free SSL, free migrations, free backups, staging area, PHP 7.x, HTTPS/2 support etc., custom CDN, blazing fast hosting and 30 second customer service with “fix everything for free” for you guarantee makes WPX hosting the #1 top rated hosting on G2 Crowd & Trustpilot (FYI: Hostgator came last, Bluehost came 158th & Godaddy came 143rd). Read our WPX hosting review to learn more. The secret behind a blog that stands out is your blog design (or theme). Divi (from Elegant Themes) is one such affordable & feature-rich theme that let’s you build beautiful blog design, landing pages and helps you add custom elements like testimonials, contact forms, buttons, widgets and everything you need to create high-converting landing pages. Divi let’s you customize your site (drag & drop, without coding) that would otherwise cost upwards of $1000 if you hire designers. 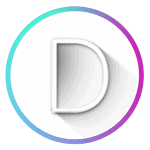 Read our Divi review to learn more. 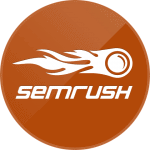 SEMrush is one of the best blogging tools that helps you up your blog’s SEO. You can spy competitors, check backlinks, conduct site audits, dig profitable long tail keywords, track your keywords’ ranking etc. DigitalGYD readers can avail SEMrush free trial for 14 days. Download the FREE SEMrush Writing Assistant & optimize your content with LSI keywords suggestions and other tips based on top ranking pages. Email marketing one of the most important aspects of blogging. Building an email list is important, not only for having an alternative source of traffic & income for your blog but also to connect with readers, send them value & build a community around your blog. Convertkit is specifically designed for bloggers and comes with easily customizable forms, tags & segmentation to organize audience and easy automation. Read our Convertkit review to know more. One of the best investment we make (every year) for our blogging business is the renewal of Thrive Suite. Thrive suite is known for it’s conversion-focused WordPress themes and plugins and is one of the best deserved blogging tool in our list. With Thrive Suite, you get Thrive Architect (to create landing pages without the back & forth with developers), Thrive Leads (for lead generation), Thrive Themes (fast WordPress themes), Thrive Ultimatum (scarcity based countdown timers to boost sales), Clever widgets (show specific widgets and offers on specific pages), Thrive Headline Optimizer (best tool for evaluating blog titles & split test headlines), Thrive Comments, Apprentice (for creating courses & membership content). At $19 per month (or $228 per year) this is much cheaper than LeadPages or OptinMonster itself, leave alone the other tools that you get. P.S. We were investing upwards of $1500 per year before we heard of Thrive Suite that comes with only $228 per year. That’s an 85% saving off our blogging expenses! While WPX Hosting is our all-time favorite, Kinsta is another high-end managed hosting that hosts your site directly on Google servers. Kinsta WordPress hosting starts at $30 per month which is slightly on the expensive side, but if you have the budget it’s worth every penny. Read our Kinsta hosting review to see why it’s one of the best blogging resources to have. Apart from that, if you’re extremely budget-conscious, Bluehost is a good hosting service but we highly recommend shifting to either WPX or Kinsta once you have the budget. Like hosting, SEO tools, or lead generation tools, domain registrars are also one of the key blogging tools in your blogging arsenal. A reliable domain name registrar helps keep your blog’s identity safe & secure. Namecheap is cheap, fast & doesn’t kill you with spammy advertises. It also provides email hosting services along with professional email address. Looking back, not starting email marketing is one of the major regrets I have in my blogging journey. Your email list not only removes the dependencies of third-part blog traffic sources (read Google, or Facebook), it also helps you boost your affiliate marketing (or own product) revenue. Like Convertkit (discussed above), GetResponse is a must-have blogging (or email marketing) tool that provides autoresponders, advanced integrations, list builder apps, pop ups etc. It even takes lead generation one step further with GetResponse webinar software & drag & drop landing page builder. Read our GetResponse review to how it can help you build your mailing list. An email subscription tool is a must have tool to grow your blog’s email list. 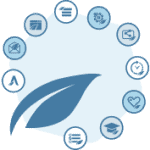 With Thrive Leads you can create conversion optimized email pop ups (exit intent also), subscription widgets, content upgrades, A/B split test designs, add conversion pixels (to track goals in Google analytics etc). Thrive Leads supports advanced targeting (to show relevant offers to relevant visitors/pages) & SmartLinks (shows different offers to existing subscribers) for collecting emails that are laser-targeted. Other alternatives include OptinMonster & Sumo (offers a very limited but free version too). The key to create engaging content (that doesn’t let visitors bounce away) is to add visually appealing elements like CTA boxes, content boxes, styled lists. Thrive Architect lets you do that and makes your content snackable yet attention grabbing. Thrive Architect also comes with Thrive Landing Pages (that is a collection of 270+ inbuilt landing pages that are proven to convert). 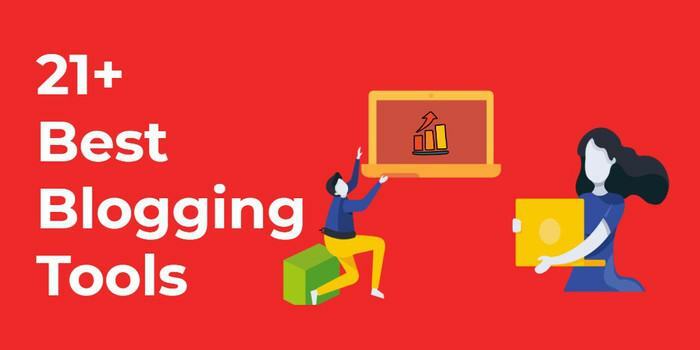 This is one of the best blogging tools to create high-converting landing pages, review articles, blog homepages and more. Check out our home page (took 1 hour to create, no coding skills required)! You don’t need to invest in a designer every time you wanted layout or design changes. Read our Thrive Architect to see how it can improve your content marketing. Grammarly is one of the most underrated tool for bloggers. It sits right on your browser and checks your content for grammar and punctuation errors. Grammarly is a must-have writing tool to create professional content (may that be business outreach emails, sharing your blog’s content on social media platform or creating rough copy in Google docs). Grammarly’s app also gives you a distraction-free writing mode for your content creation. If you hire writers for your team or outsource a lot of blog content, you can use Grammarly to check the content is plagiarism free. Read our Grammarly review or or avail our official Grammarly discount coupon to save an exclusive 20% OFF your purchase. Creating visual content is also an important blogging tactic to boost engagement & make your content scan-able. You can also create charts, custom graphics and add stock images that not only bring you traffic from Google’s image search but also serve as lead magnets. 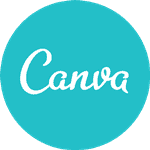 Other free blogging tools for visual content creation include Picmonkey & Stencil. WordPress themes also form the key blogging resources that not only determine how your site looks and converts but also affects your blog’s ranking. A slow-loading bloated WordPress theme can bring down your ranking, leave alone the poor UX and decrease in dwell time. With the mobile-first indexing already ruling how results get displayed on search engines, the need for a fast, mobile-responsive theme gets even bigger. In nearly 6 years of my blogging journey, I’ve tried all key WordPress themes and GeneratePress is hands-down the best. 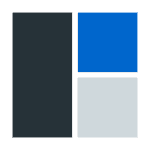 It’s lightweight (less than 30KB), fully customizable (no coding) and free to use. (You can get a premium version with even more customization features). P.S. DigitalGYD is made from ground up with GeneratePress (& their free support!). Sometimes we need a ready-made theme to launch our blog instead of customizing one ourselves. And that’s where StudioPress themes come into play. They’re the largest sellers of WordPress themes that are very lightweight, clean coded, Gutenberg-ready and come with stylish templates that suit your blog no matter what niche you’re in. Check out our StudioPress vs Divi vs Thrive Themes vs MyThemeShop comparison to see who wins. WPForms allows you to quickly build a contact form (drag & drop & comes with built-in templates) that allows you to do more than just build forms. With WPForms premium you can allow user registrations, accept PayPal or Stripe payments, allow file uploads, build a list (with Aweber, GetResponse etc), add signature, polls & surveys to name a few. It also comes with offline form submission & form locker addons. Check out our review of WPForms to know more. Yoast SEO plugin manages everything like integration of your site with search console, add sitemaps, breadcrumbs, set canonical URLs, optimize your blog posts for keyword usage, get readability analysis and write SEO friendly blog posts. You can also use Yoast to set custom page title and meta descriptions, social media images and set cornerstone content etc. Yoast offers more like local SEO, video SEO, suggestions for internal link, synonyms and LSI keywords with the premium version. For most people the free version (even we use the free version only) is more than enough. Make sure to check out our list of best SEO plugins for WordPress. In the post Gutenberg era, content design has been made easy with tools plugins like Ultimate Block. 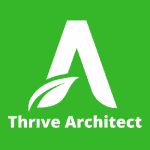 You can consider Ultimate blocks as a free Thrive Architect alternative (to some extent). Why I like this plugin is because the developers constantly improve it. UB now has 16 blocks that let you add a testimonial, buttons, table of contents block, social share block, countdowns and progress bar blocks, review (schema-enabled) block to enable star ratings etc. It comes with a block management module to disable unwanted modules. The secret to crafting blog posts that get organic visits is keyword research. KWfinder lets you find low-competition long tail keywords. You can check the SEO competition of each keyword with just one click by pulling out top 10 Google search results for that keyword. KWFinder is great for local SEO keyword research letting get keyword data in 40+ languages, narrowed down to the city level. Read our KWFinder review to learn more about it. While SEMrush (listed above) is the Swiss army knife for bloggers and SEOs, Ahrefs is specifically designed for SEO with the best backlink index available. Ahrefs is one tool that continuously innovates (they recently added an “internal links tracker” to track competitor pages that are most linked internally). Ahrefs’ keyword research tool is one of the best in the market. 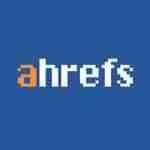 Read our Ahrefs review to know what else you can do with it. Social Warfare is one of our most recommended blogging tool to boost your blog’s social shares without affecting loading speed. Social warfare is lightweight, very clean coded (even the icons are CSS based) allows you to add custom Tweets, click to tweets, and boosts Pinterest shares (allows you to add custom images for Pinterest without showing it on the frontend), custom pin descriptions for Pinterest SEO and more. If you offer services or have multiple blogs, Sendible helps you in social media marketing by scheduling your social media updates for later. For bloggers offering social media services, Sendible has a CRM for managing various projects, white-labelled reports etc. Read our Sendible review to see what makes it the best social media management tool. For starters, free tools like SocialPilot (read review) are some of the best blog marketing tools you can try. If you rely on Pinterest for your blog traffic (if not, you should because Pinterest is one of the largest sources of social media referral traffic), then Tailwind is a must-have tool. Tailwind helps you schedule (auto-schedule based on pin virality, audience engagement etc), schedule pins directly from Pinterest, track repins, likes, comments etc. It also comes with a drag & drop editorial calendar. Tailwind also has Instagram management feature to grow your blog’s brand presence on Instagram. In today’s content marketing scenario, just sharing the content you produce isn’t enough. In order to build trust among your audience, you must share third-party content that is relevant and holds some value for your audience. 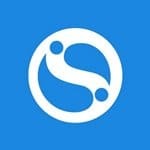 ShareIt is a free content curation tool designed to help you find the updated and relevant content – all you have to do is enter a keyword. You can also use these content suggestions to brainstorm content ideas for your blog. If you are looking for content to share from your social accounts, Share It helps you share the content directly – right from the platform. …it’s time for you to spill the beans about your tools for blogging. Or, maybe you use a different blog planning software or maybe we missed listing your favorite equipment for blogging. Either way, leave a comment with your suggestions or questions. Let’s have a discussion on the things needed for blogging! I’ve personally used some of the tools mentioned here and Id say I’m impressed. I would like to know more about Tailwind. Sure, I will soon come up with a handy review of Tailwind. 1) KW finder is free tool or paid? KWFinder is paid. It offers free keyword research for up to 5 keywords per day. Thanks for sharing this valuable information! Well explained!